1. AT&T gets serious about small cells. Again. For those of you who don’t recall, AT&T previously had an Antenna Solutions Group focused on both Distributed Antenna Systems (DAS) and small cell deployments. While most of the emphasis was on DAS, there were a decent number of small cell deployments, although nowhere near the 40,000 small cells AT&T led the industry to believe they were going to deploy. We believe that AT&T will end up increasing its capital expenditures on small cells this year at the expense of building new macrocells. However, that doesn’t mean that AT&T will stop investing in macrocells altogether – see the next point. 2. AT&T wins the FirstNet RFP and starts to deploy both FirstNet and AWS-3 spectrum via site modifications to existing macrocells. Per our previous notes, we (and others) anticipate that AT&T wins the FirstNet contract. As we have pointed out before, if AT&T has done 700MHz modifications at a site previously, the old antennas may be able to accommodate the additional FirstNet 700MHz spectrum, but that doesn’t mean they can accommodate AWS-3 frequencies. The AWS-3 spectrum is in the 1700MHz and 2100MHz ranges, and we are just starting to see modification requests from AT&T that cover the full range of the spectrum in both 700MHz and 1700-2100MHz bands. We anticipate that this continues. Note that this doesn’t mean that AT&T will pay more rent for all modifications. Found this article helpful? Sign up to receive in-depth wireless analysis, news, trends, and reports. 3. Verizon gets slightly more serious about small cells. Again. In 2016, it seemed that Verizon had slowed down its deployment of small cells as compared to 2015. While we don’t have access to the number of small cells they deployed via Crown Castle, we do know that the municipalities that have retained us experienced a downtick in the number of new small cell applications. We suspect that Verizon has revised its strategy on small cells after discovering what does and didn’t work through trial and error in 2016. Previously extensive efforts by Verizon to enter master lease agreements with municipalities will pay dividends in 2017 as Verizon will experience quicker speed to market than other wireless carriers who haven’t negotiated such agreements in bulk. 4. T-Mobile will focus on adding capacity to their network no matter how costly. In 2016 T-Mobile negotiated and presumably signed a significantly increased number of leases to add equipment to existing DAS systems across the US. Furthermore, we have heard (but haven’t yet confirmed) that T-Mobile is entering collocation agreements on rural towers to avoid roaming agreements with rural carriers. Our experiences with rural tower-owning clients seem to confirm this – but we don’t know whether their leases are representative of what is happening with all tower companies. We surmise that T-Mobile doesn’t want to spend cash building its DAS networks or new towers, which is why they may be willing to agree to higher than average lease rates. We also assume that T-Mobile needs desperately to add capacity and to do it quickly – which supports why they would be willing to jump on current DAS systems and collocate on existing towers. 5. Sprint will continue to spend historically low levels of CapEx and somehow still convince market analysts that its spectrum holdings give it the flexibility to significantly limit spending on its network. When Sprint announces its 3Q2016 fiscal year results in January, they will again surprise with lower than expected CapEx. Reduced lowered CapEx from Sprint could very well continue into the middle of 2017 based upon the limited activity we are seeing from Sprint now. Tower companies have already rightfully stopped projecting any income from Sprint in 2017 with the expectation that if it comes, we can all just be grateful. Despite these harbingers, market analysts will still continue to rate Sprint a Buy primarily due to the potential for a merger with T-Mobile which seems to be increasing slightly in probability every day. If Sprint seriously believes this merger will take place, they would be wise not to invest CapEx. 6. More fiber companies will be acquired and the values paid per route mile (especially metro fiber) will continue to increase. We know that this isn’t that much of a reach regarding a prediction, but it is an important one nonetheless. 2016 saw several fiber acquisitions: Zayo/Electric Lightwave, Windstream/Earthlink, CenturyLink/Level3, and Crown Castle/Fibernet to name a few. Notably, both Zayo and Crown Castle are actively positioning themselves to be “the” small cell metro fiber providers. These companies know that fiber is the backbone of any 5G/small cell/fixed wireless network and that controlling costs of the fiber is paramount to the wireless carrier’s ability to keep pricing of wireless plans low. 7. Speaking of fiber, landowners will receive more requests than ever before for new fiber routed across their property. We are just starting to see requests from Verizon and other carriers to bring in “redundant” fiber from different cross-property routes from existing wireless lease utility easements. Our research shows that with the advent of small cells, and C-RAN particularly, companies like Verizon need redundancy and are willing to pay for a second utility easement across the property so that an aloof contractor cannot cut both fiber cables at a singular location. Unfortunately for large incumbent fiber providers, this fiber won’t be lit fiber. 8. 2017 will be the year of cell site hardening. With FirstNet likely being awarded to AT&T, and the FCC’s recent order requiring wireless carriers to disclose the percentage of their sites that are out of commission during emergencies, we anticipate that carriers will begin improving power backup systems at individual sites. Cell site hardening will translate to more on-site generators, which means lease expansions and increased rent to landowners and tower companies. Sprint and T-Mobile will need to play catch up to AT&T and Verizon, both of whom have previously begun site hardening agendas. 9. Wireless carriers are doing more than just talking about what they consider to be a lopsided relationship with the tower companies, and clear and demonstrable proof of this will emerge in 2017. To date, tower companies have largely ignored inquiries and very public comments from the carriers about “expensive and unsustainable” collocation rents and modification requests. Despite some slight downward pressure on tower company stocks and analysts’ questions at industry events, the tower companies haven’t yet felt any real pressure from this carrier positioning. However, we believe strongly that the wireless carriers aren’t sitting idly by but are instead actively seeking to relocate some of their more expensive sites. Whether these efforts are selective and focused primarily on “scaring” the tower companies, or they represent actual and significant savings on operating expenditures going forward, we don’t know. Either way, we believe that there will be clear proof of the extent of these efforts in 2017 and that this will negatively impact the tower companies. 10. The carriers will not deploy any real 5G in 2017. Despite claims to the contrary by Verizon and others about their 5G-like systems, they aren’t mobile, and they aren’t 5G. Mobile 5G specifications aren’t expected until 2020, and even pre-specification systems won’t meet the eventual 5G standards. 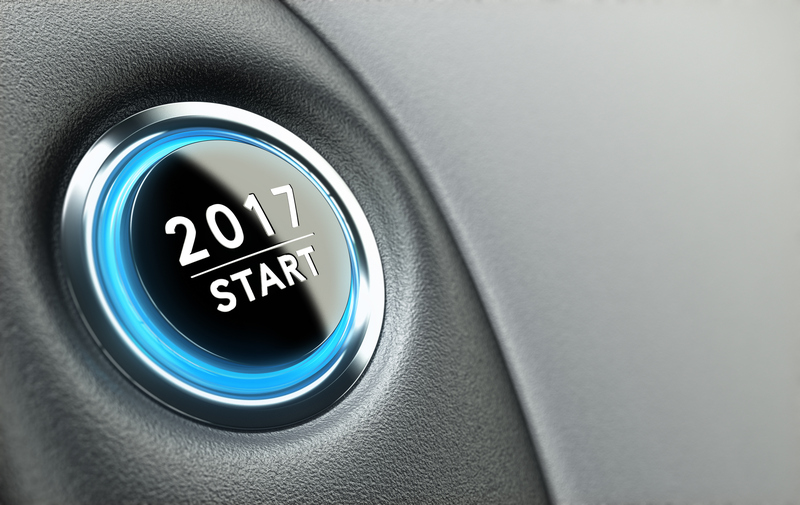 5G preparation will continue in earnest in 2017, to include robust fiber deployment and small cell site acquisition. None of this will prevent the carriers from saying they are deploying 5G. (Stay tuned on this topic- we anticipate doing a workshop for financial and tower company clients in NYC and Boston in February to address the common questions and concerns we have been hearing from analysts and reporters regarding 5G). It is unlikely that these projections will be 100% correct – and if I had to pick one projection where we are more likely to be wrong (and where we hope we are wrong) – it #5, that Sprint won’t be deploying CapEx this year in any sizeable amount. The tower companies have fared well over the past year, considering the lack of any real, sizeable revenue growth from one of the “Big Four” wireless carriers. If you disagree with any of our projections, we’d love to hear why. If you want further information about how we arrived at the predictions or wish to discuss the likely winners and losers, we welcome the opportunity to set up a private (paid) consultation to discuss our beliefs further. We have no confidentiality agreements in place with the companies listed above – and to the extent that we do have confidential information about them, we won’t disclose it. As always, thanks for educating me on what's going on in the industry. I speak highly of you when I get an opportunity. I look at you guys as the protectors of the small guys.